This program is picked from the last three screenings of Brand New Blinkers in 2016. 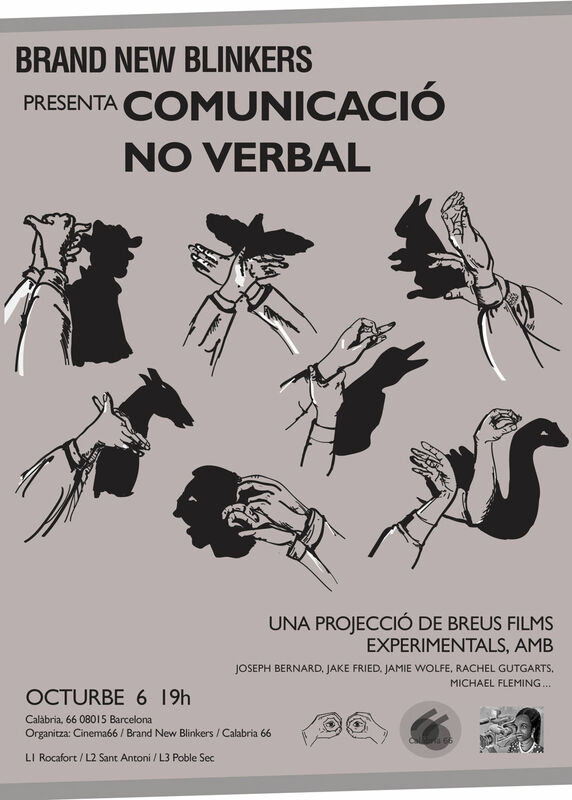 Everything from an insidious bacteria working it’s way through local wildlife to a rhythmic song made up from park benches and bins, Nonverbal Communication is an experimental, diverse, visceral, and often very funny, selection of films. Featuring films by Sam Kirchoff, Markus Wende, Josh Hite, Jake Fried, Jamie Wolfe, John F. Quirk, Joseph Bernard, Nomi, Adam Nickel, Rachel Gutgarts, Roberto Voorbij, Emily Shapiro, Hermann Leitner, Johan Rijpma, Michael Fleming. Organised with Cinema 66 & Calabria 66. Brand New Blinkers is a regular short film screening based in London. We screen a diverse collection of films without boundaries. No categories, only quality moving image. Brand New Blinkers was formed in 2016 and is curated and organised by Jack Wormell and Andy Sowerby.